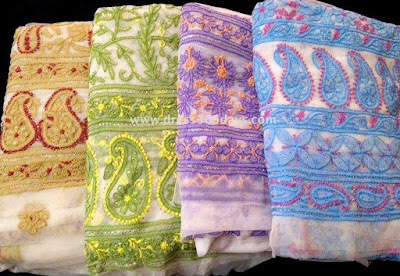 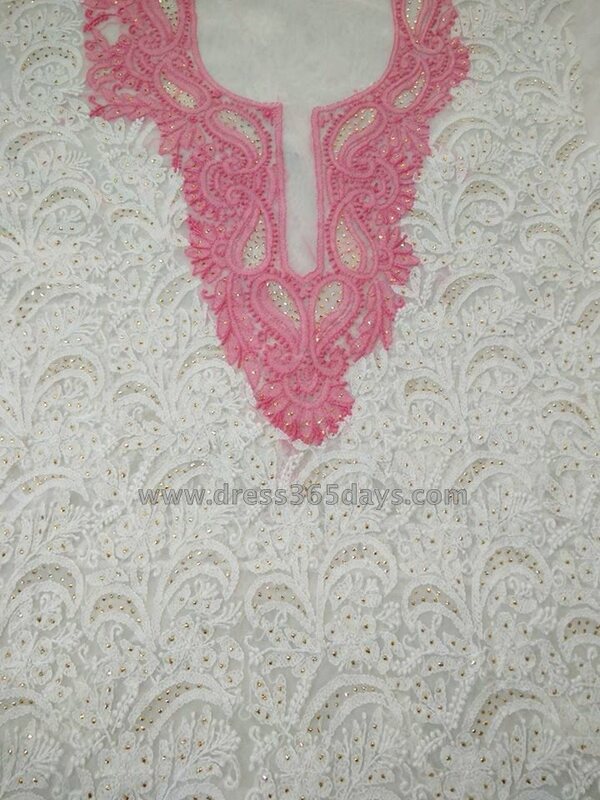 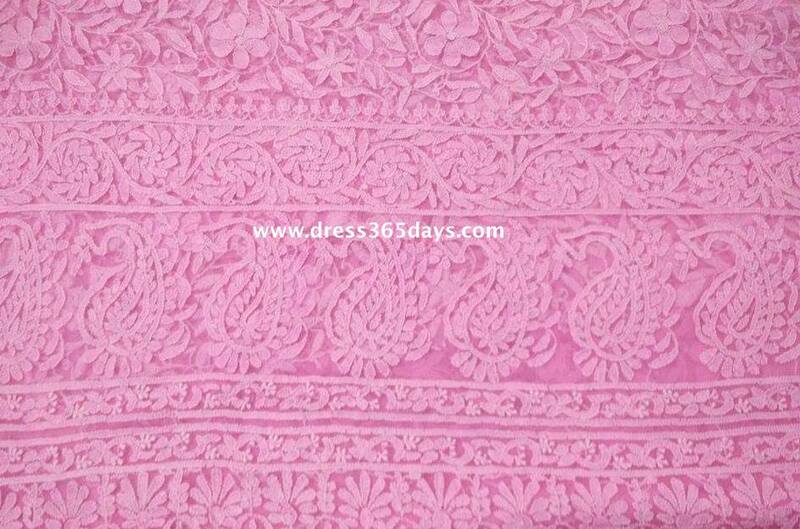 Nowadays exclusive chikankari is available on net fabric . It can be done on plain white fabric with coloured resham thread or dyed net fabric with contrast thread. 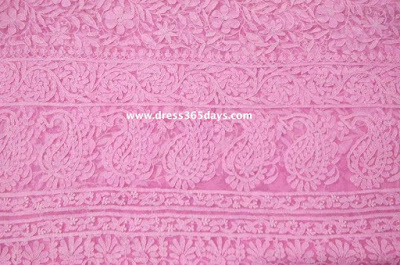 Net fabric is very soft and looks elegant to wear. 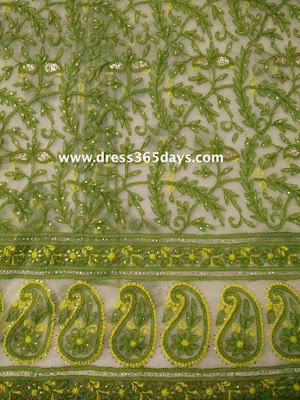 Chikankari embroidery on net is available as ready kurtas, unstitched dress materials and exclusive party wear sarees. These fabrics can be edorned with golden mukaish work or sequins. 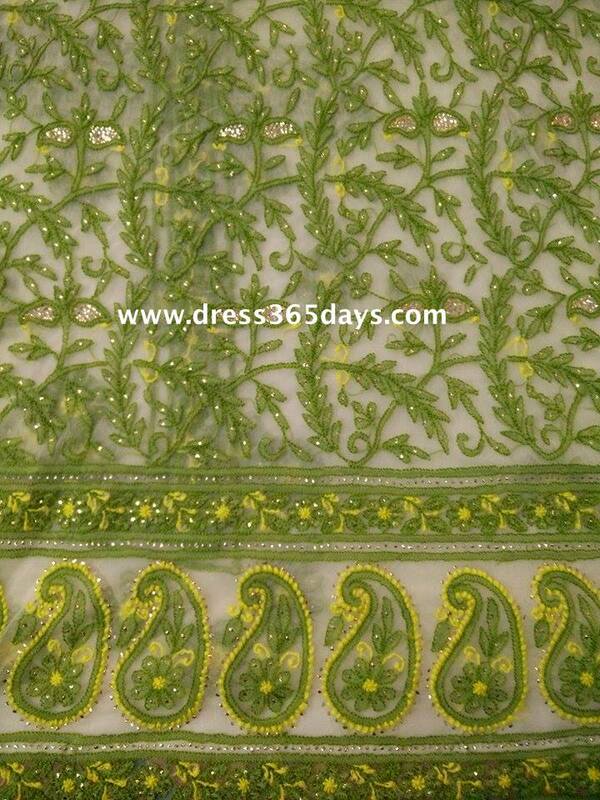 It enhances the beauty of the fabric. 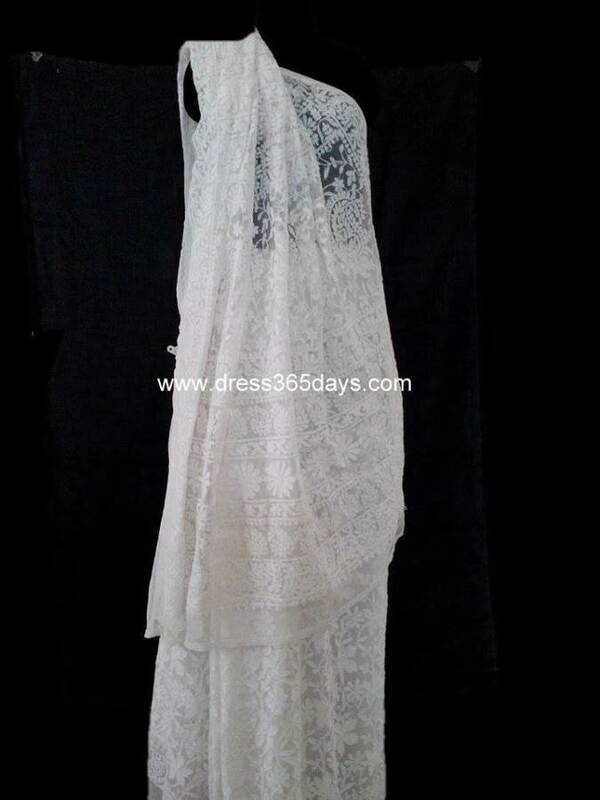 These can be worn on parties, weddings and other special occasions. 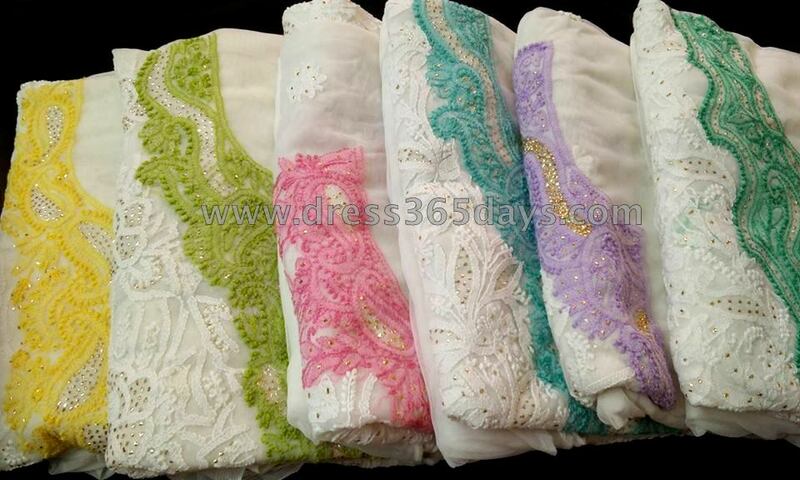 Many Bollywood celebrities are spotted wearing net chikankari sarees. 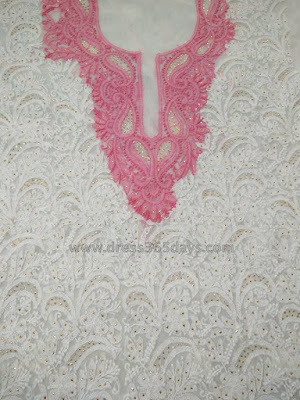 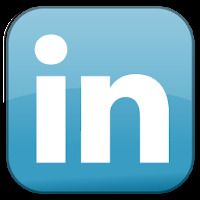 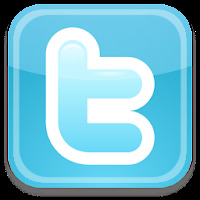 They are also exhibited on top fashion shows by renowned designers.